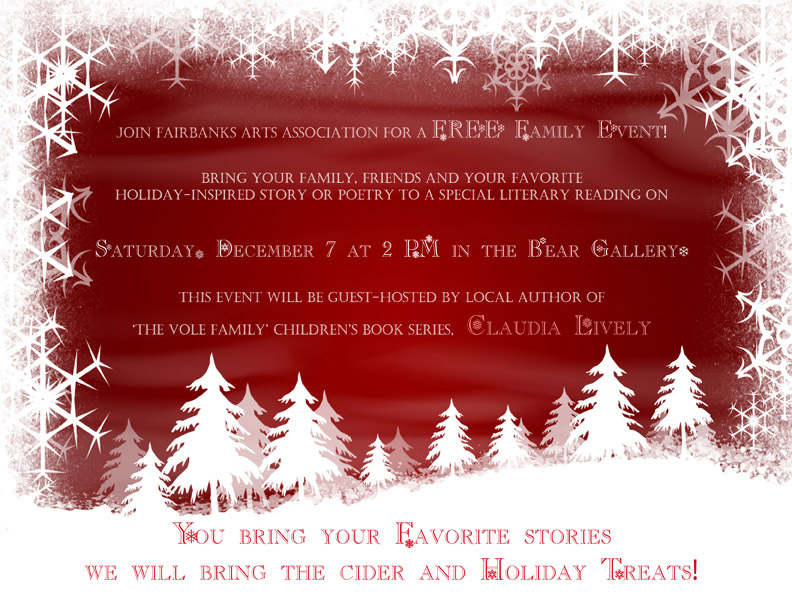 Join Fairbanks Arts Association for a free family event! 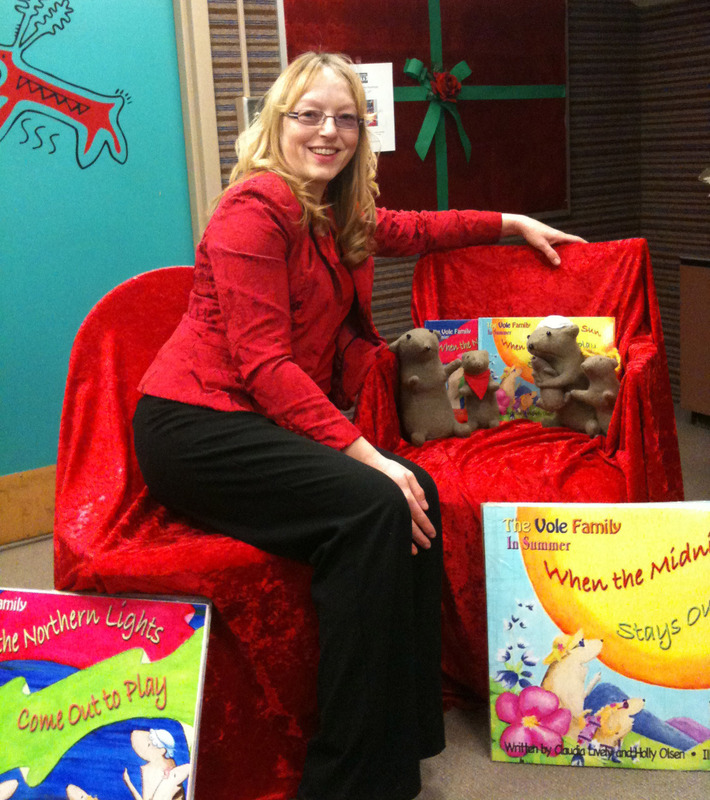 Bring your family, friends and your favorite holiday-inspired story or poetry. You bring your favorite stories, and we will bring the cider and holiday treats. Bear Gallery, 3rd floor of the Alaska Centennial Center for the Arts, Pioneer Park, 2300 Airport Way, Fairbanks, AK. For more information contact Jess Peña at 456-6485 ext. 226 or jess@fairbanksarts.org.